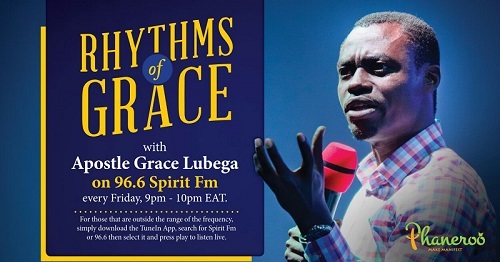 On the program, Apostle Grace shares the mysteries in the word, the redemptive power of revelation and demonstrates the dynamic power of God in teaching. Through the program, the sick have been healed, paralysis has disappeared, cancer has been healed and many more miracles have come to those tuned in to listen. Countless people have also given their lives to Christ through this program. With a dynamic message on the grace of God, his power and his divine purposes, the rhythms of grace program is changing mindsets, erasing indoctrinations, redefining truth and establishing its listeners in understanding.